Mom's Gone Bronson! : Ovation Brands Family Nights With Amelia Bedelia! Giveaway!! Ovation Brands Family Nights With Amelia Bedelia! Giveaway!! Disclaimer, I was provided with products in exchange for my honest opinions. Your views may differ from mine! Ovation Brands, which includes Old Country Buffet, Ryan's and other well loved buffets across America is hosting fun family nights all through spring, featuring Amelia Bedelia! From March 17th through May 12th, children are invited to participate in educational, fun group activities that celebrate everything from words and science to cooking, the seasons, and more, with emphasis on education through play! March 17 “St. Patrick’s Day” brings kids along on a magical four-leaf clover hunt with prizes, candies, and free dinner coupons for those that collect the most clovers. Extra clovers will be given to kids who show up wearing green. March 31 “Spring Selfie” is a great social media photo-booth-style experience the whole family can take part in. Frames, decorations, and more! Check out Ovation Brands for a full listing! These events are wildly popular and we have attended quite a few with the children recently and look forward to trying a new location for the Amelia Bedelia series and widening our nets! These Amelia Bedelia books I received today are so much fun and my daughter adores them as they are stories she can relate to and have fun with and explore. 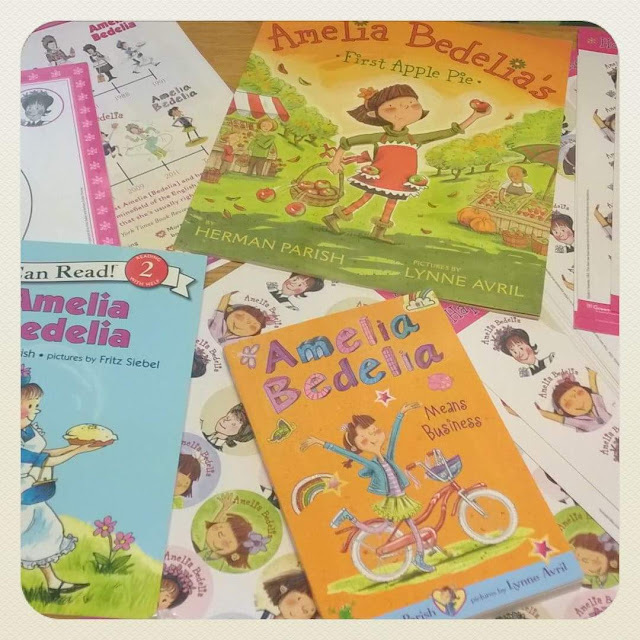 Ovation Brands would like to give one of our readers a head start with spring reading with an Amelia prize pack all of your own! To be in with a chance of winning just enter the rafflecopter, below! Giveaway ends on March 23rd, good luck! Note: Participating bloggers are not responsible for prize fulfillment, thank you! I usually go to the salad bar and use most of the toppings- bacon bits, olives, cheese- you name it! I love a buffet with an ice cream bar as that is what I usually eat there. I like their fried chicken.